So there he was, bleeding arms tied to an unnecessarily slow dipping device, hovering over a pool full of hungry sharks, his beautiful companion’s fate bound up with his. Everything depends on his next move. What does James Bond, perhaps the most iconic action hero of all time, do? He cuts himself loose with his Rolex Submariner, which just happens to be equipped with a miniature buzz saw. Sounds pretty cheesy when you put it like that, doesn’t it? But it isn’t cheesy when you’re watching the movie … in fact, it’s amazingly satisfying. What makes this patently ridiculous plot point work? Why doesn’t it seem dumb when we watch it on the big screen? Because the movie sets up the use of the watch early in the story. Set-ups make incredible plot elements (the kind in James Bond or Indiana Jones movies) far more credible and satisfying. Set-ups create open loops that keep readers itching to find out how they work out in the end — a need-to-know phenomenon called the Zeigarnik Effect by psychologists. Open loops are much more compelling than closed ones. To see how an open loop can create credibility, entice curiosity, and stimulate the need to know more, take a look at this example. Antwerp, Belgium, is no longer the diamond capital of the world. Thirty-four hours on an airplane. One way. Thirty. Four. Hours. That’s how long it took me to get to where eighty percent of the worlds diamonds are now being cut. After 34 hours I looked bad. I smelled bad. I wanted to go to sleep. But then I saw the diamonds. Unbelievable. They told me I was the first retailer from North America ever to be in that office. Only the biggest wholesalers are allowed through those doors. Fortunately, I had one of ’em with me, a lifelong friend who was doing me a favor. I’m Woody Justice, and I’m working really, really hard to be your jeweler. Thirty-four hours of hard travel, one way. I think you’ll be glad I did it. The ad starts off by setting up an open loop: if Antwerp is no longer the diamond cutting capital of the world, which city is the new one? But we’re not told which city; we’re only strung along with the hint that it takes a 34-hour plane trip to get there. Must be an exotic place, right? The listener’s curiosity starts to itch. He wants to know where this mysterious place might be. Then we’re told that to be allowed into this inner sanctum of diamond buyers –- a place out of reach to every other retailer in America — is to have access to prices lower than the competition can match. How much lower remains an open question, and so another loop is opened in the mind of the listener. Finally, the ad closes by circling back to the 34-hour trip without ever closing (i.e., “paying off”) either the “how much lower” or the “which city was it” loops. Now the itch to find out “where’d you fly to, Woody?” or to see just how great the prices are — well, those are the obvious parts of the ad, the ones everyone recognizes on a first listen. But the added credibility achieved through set-up and payoff is really where this ad shines. But we’re not told that straight out, are we? No. Because that claim has to be set up. So we’re told how difficult it is to get to this new diamond cutting capital of the world (it takes a 34-hour plane trip). And how many diamonds are cut there. And who normally does make that long, arduous trip (only the biggest diamond wholesalers). Only after we’ve mentally put ourselves into that room –- after we’ve had the moment set up for us –- do we then get the claim of lower prices. And at that point, we listeners may not quite swallow the claim whole, but we’re intrigued enough to put it to the test. We have enough faith to at least investigate Woody’s claim by coming into the store, if only to ask him where that 34-hour flight took him. By now, you might be thinking that headlines are actually a form of open loop copywriting. Many headlines hook the reader by starting an intriguing thought — and implicitly promising to close the loop in the article or post itself. This Copyblogger post, What a Drunk Swiss Guy Can Teach You About Handling Criticism, is a perfect example of that technique. It starts with a surprising headline and sets up an interesting story, then uses the payoff for that story to make a point. And a more serious article used a headline as an open loop to lead into a striking story about one of our writers: Why James Chartrand Wears Women’s Underpants. Articles and posts use this technique when they open with a dramatic scene or image, backtrack or diverge to another point, and finally circle around at the end to close the loop. When you open a loop, when you set up an intriguing situation and leave the reader wanting to know more, you create momentum that carries the reader through the page. But as you might imagine, you can’t just open loops — you need to close them (to provide a payoff) as well. Skilfully created set-ups and payoffs can create emotional power through narrative misdirection and symbols — giving you some of the satisfaction you get from watching a well-plotted action movie. How, specifically, do you build that emotional power? Well actually, you’ll have to wait for part two to find out. Read the sequel to this post next week for more. Jeff Sexton is in charge of Optimization Management for BoostCTR, a partner in the Wizard of Ads consulting firm, a well-known online copywriter and optimization expert, as well as a faculty member at Wizard Academy, where he co-teaches Persuasive Online Copywriting. You can find him online at www.jeffsextonwrites.com. Previous article: Everything Will Conspire to Stop You … So What? I liked how you started with James Bond. I suppose it would depend on which James Bond. Some acting incarnations to me are more appealing then others. I’m glad you gave an actual ad example. Before Clayton Makepeace folded his blog, they used to have a Friday swap file. I’ve saved all his published swipe files and love copying them by hand (i.e. a technique recommended by different big league copywriters). Ending on content management is consistent with Copyblogger post emphasize. Good stuff today. Also, I was a big fan of Makepeace’s blog as well. One of the few big name’s in direct marketing that did more sharing of valuable content and knowledge than pitching. It didn’t escape my notice that by teeing us up for a sequel you’ve left the loop open. 🙂 I’ve been doing a lot of reading lately about adding drama to your writing and creating that opening dissonance to grab a reader’s attention. I appreciated the example you included- that is really helpful to see the advice laid out in practical terms. Looking forward to the next installment! Reminds me of the somewhat nasty riddle “Q: How do you keep an idiot in suspense? A: I’ll tell you tomorrow”. Thanks for the great post, Jeff. I’d say that headlines have the ability to seduce readers much more than we thinkl, but if the content is not great, they’ll not stay. I also like it when analogies are made that portray a very clear message. People generally follow the media like sheep, for example, many super hero movie have such a great budget allocated into advertising, but at the end the movie is not that great. I can clearly remember the last spider-man, few years ago, and how much marketing was created for it. We must learn how read between the lines. Seducing through headlines and paying it off with the content was a big part of our Magnetic Headline’s Intensive webinar. If you missed it, you should think about buying Premise, as it’s an included part of that product. The open loop method is clever indeed. Combine that with a bit of human psychology and you have a powerful ad. The one you used in this post targets the Alpha Male desires of men. Other ads you’ve broken down on your site like the Heisenberg’s Jewelers ad or the Reis Nichols ad target the Beta Male desires to be good husbands and dads. The open loop can be a pretty useful tool. But as a rookie, it’s like handing me a chainsaw. Just because I know what it is and what it’s supposed to do, doesn’t mean that I’ll use it properly (I might lose a limb). So thanks Jeff for the incite on using this little gem (and keeping me safe). I look forward to part two. Lol. maybe I should be more worried about getting some “insight” into using the word “incite” properly. Great post! I’ve been writing for many years (short films, commercials, ads, blog posts) and am always trying to improve simply because I enjoy the craft. Regarding the diamond radio commercial, it is well-written, offers a great set-up and a great story. What disappointed me was that they STILL differentiated on PRICE! It seems that the hard work Woody did to get the diamonds would allow him to tout top-notch QUALITY and justify charging a premium for it. But, that’s not about writing, that’s about marketing – which is my main obsession. You’re missing a bit of background to the marketing behind Justice Jewelers. Before everyone else jumped on the “cut” bandwagon, Justice Jewelers was one of the very first to create and market their own, unique cut with more measured brilliance than other diamond cuts. So the marketplace has already been seeded with the idea of Justice Jewelers = higher quality. This ad wasn’t so much about price as about value. There’s always someone who can get you a cheaper diamond at a lower quality. By inviting a comparison on price, Justice Jewelers are also inviting you to compare quality, which, when combined with price, means value. Cool, that makes more sense. Thanks for the background story and the reply! I’m going to have to consult my local neuroscientist to find out why open loops work or should I see a psychologist and get a better handle on cognitive dissonance? It’s not really cognitive dissonance, which is an uncomfortable feeling caused by holding conflicting ideas simultaneously. But it does create psychological tension, with the resulting sense of relief and satisfaction when the loop is closed. I wrote a bit about open loops a couple years ago here. I hope this isn’t a Copyblogger trade secret, but how did you manage to find that precise post within the CB archives? It constantly amazes me how you’re able to cross-link to your older stuff so well (especially within current posts) and I can’t figure out if it’s a function of WordPress, some master organizational system for blog content, or you guys simply have super memories. If others are also curious, maybe this would be a good topic for a blog post? Jeff and I talked about him writing this post, and during the conversation I was reminded that I wrote about open loops at least once before. We actually missed linking it this morning until the comment came up, then I remembered and did a quick search. I can’t speak for Sonia (who does most of the editing), but I rely on memory and search to find things in our archives. The related post plug-in helps too. Actually, you tend to remember the stuff you write, even if it’s many years later. Most of us bloggers are pretty good at remembering topics we’ve covered, even if we’re not quite as Johnny Mnemonic as Brian. Thanks for asking that, Jason. I’ve always wondered that and just never thought to ask! I am all too aware of this tactic, as the scammers use it very effectively to sell $37.00 push button to riches software. They don’t let you off the Zeigarnik Effect hook untill the other side of the ClickBank order form. Very power stuff. Thanks for making me aware of it. Dazzling post, Jeff! I love the open loop technique. Looking forward to your next post. 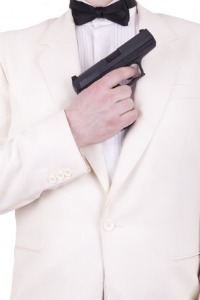 A post that includes a great tactic, James Bond and a Chekov quote . . . Jeff, you might be my new hero. This is a top notch post and I’m actually excited to read the next installment, which I guess is proof enough that open loops work. I also wanted to mention the king of this open loop strategy – Eddie Izzard the stand up comedian. His shows are long and rambling and they jump around like mad, but every loop he opens gets closed by the end. And they’re all closed with a punch line that doesn’t pay off until an hour after the set up. It leaves you with a feeling of completeness and satisfaction everytime it happens. Just thought I’d mention him if anyone wanted to watch an in-action example of what we’re talking about today. The open loop is used all the time by stand-up comics. And those “closers” often get huge laughs (of what almost seems like relief, right?). If we use this technique writing content will we get more readers and comments? Relief has to be a part of it because, you’re right, those parts get huge laughs. I personally love that feeling of completeness that comes from it. I really dig this post today. Brilliant post. I have just bookmarked the website. The open loop is a fascinating insight to great writing. I will try these techniques on my site. You may even see a few acknowledgements! Great work. PS Like Daniel Roach, roll on part II. Edward, I don’t hate anything, but I’m extremely annoyed by people who can’t read. It gets worse when they’re semi-anonymous people lacking in reading comprehension skills like yourself. The open loop technique is something that I use in my email marketing, but I think I will have to use it more in other areas as well. Loved your opening as well. This is great stuff! When I teach fiction writing, I call this “story questions,”–the questions that you want your readers asking so they keep reading. Oddly, I hadn’t thought about directly applying the technique to content writing, but it makes perfect sense. Looking back at my posts, I see that I’ve unconsciously done it most of the time, but now I’m going to be more conscious about it. Thanks! Great article on loops. Of course, the origin of loops is some of the old work of Chomsky on grammer. Milton Erickson used them extensively in hypnosis. When using them in copy, it’s important to close loops – especially when writing to a female audience. If you leave the loops open, it causes a disturbance in the force and they don’t buy. Thanks for dropping by. If I’m not mistaken, Milton Erickson used open loops in conjunction with nested stroytelling, often going several layers “down,” with story nested within a story nested within a story, and much of the real “work” of his hypnosis taking place at that bottom layer, Inception-style. But of the two techniques, I’d guess that most people associate Erickson more strongly with nested storytelling, right? Also, was curious as to your basis for drawing a gender distinction when it comes to leaving open loops: has that been your observations or did you learn that from someone/somewhere? I’ve worked with open loops and closed loops quite a bit. Not closing a loop creates amnesia. In therapy that’s a good thing, in copy – not so good. Women HATE open loops. Especially if there is conflict. Superb! we start with open loops and end up with Milton Erikson. I have been reading a book by Richard Bandler at the moment (the co-inventor of NLP) He studied this guy and continually refers to his work. Otherwise this post would have gone beyond me. I believe that the diamond guy has the lowest prices in North America! Great blog post. I have been writing a blog for 5+ years. Your post here is helpful in helping me improve my post. Thanks! But this isn’t an article – it’s an ad. If it had said where the new diamond capital of the world was, and why, I’d have found it interesting, but that is most likely all that I would have remembered. Without that, I have no choice but to remember Justice Jewelers when I think of the diamond capital of the world. Leaving the loop open pays off in the end because with a lack of closure, viewers are more likely to remember the stuff in between. It’s a little slippery as a tactic, but it works as an ad. Set-ups work very well in comedy, too, or in any communication meant to entertain. You set up the premise, often a ridiculous one, then circle back to it later. Familiarity to whatever ridiculous or outlandish thing you said or wrote breeds laughter. And laughter adds to memorability, it gives you an emotional hook to remember something. You’re absolutely right! In fact, I often see late night hosts make conscious use of this by repeating a joke in order to turn it into a running gag which allows them to exploit random opportunities to circle back and turn a mildly humorous joke, event, or line into a much funnier one. But more to the point, most punchlines, said as isolated statements, aren’t that funny. It’s only when they are told in conjunction with the set-up that they acquire their punch. You’re absolutely right. I’ve been doing some work on the AIDA writing formula (Attention, Interest, Desire, Action) and you’ve just beautifully summed it all up. I’m going to have to re-read it a few times to fully get all the lessons. Thanks! The ad also uses neuro-linguistic programming techniques to get the reader to pay attention and imagine themselves in the plane. Clever indeed.